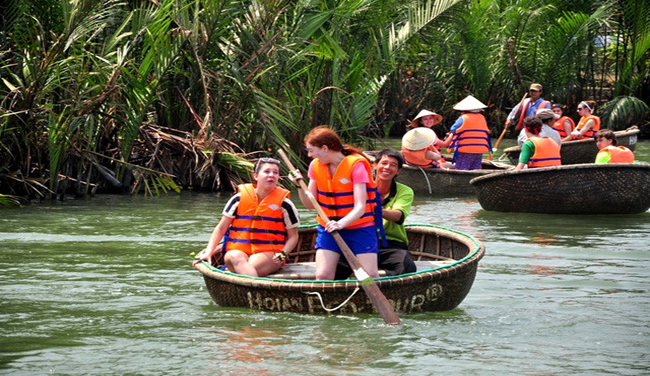 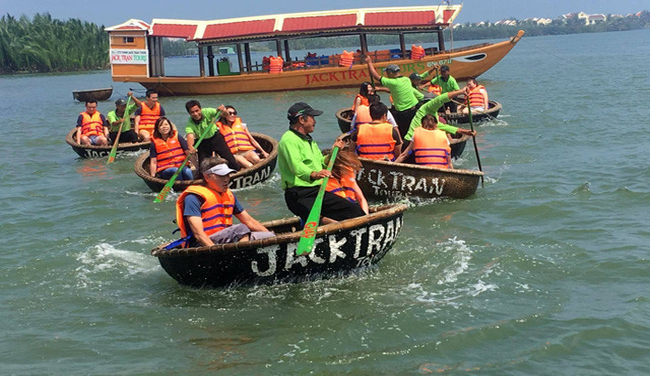 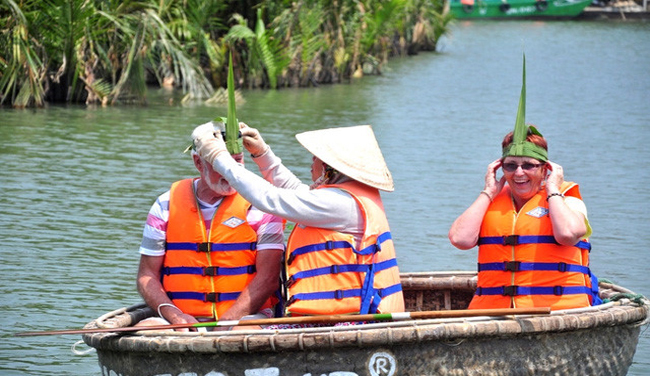 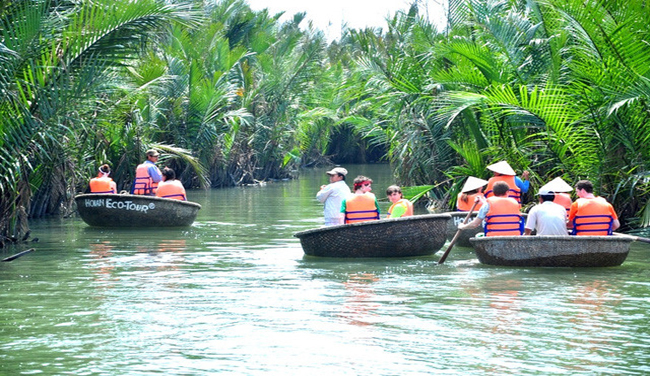 Located in Cam Thanh commune in Hoi An City in the central province of Quang Nam, Bay Mau coconut forest is known as a right place to give wonderful coracle rowing experiences, thus attracting numerous tourists, especially foreigners. 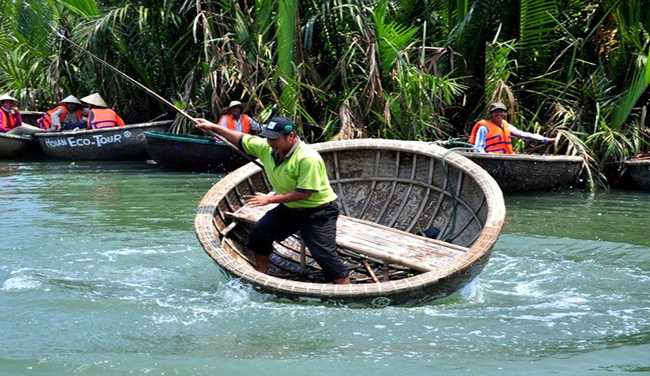 Heading toward the Bay Mau coconut forest. 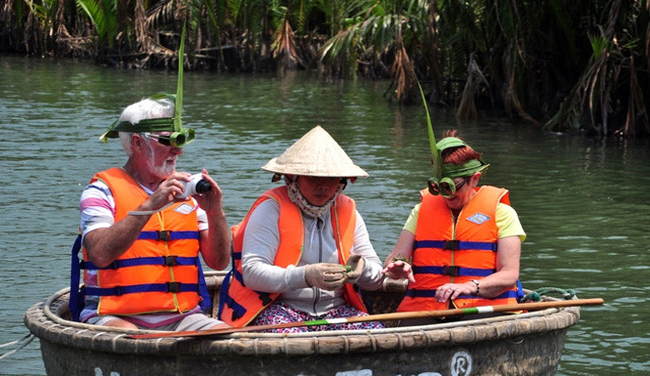 Instructing visitors to make souvenirs by water palm leaves.